St. Pat’s stars Stephen Duffy and Dean Healy have been rewarded for outstanding seasons with the respective senior club and county footballers of the year as part of the Garden County Awards. 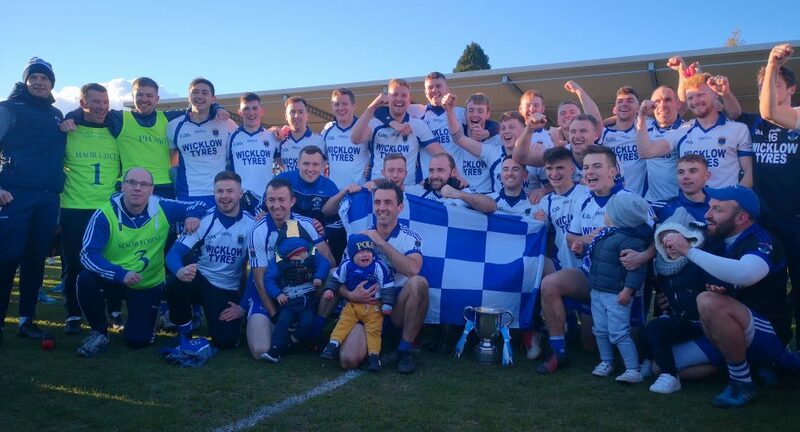 Healy captained the Wicklow Town club to their first senior county football championship since 2012, with Duffy notching eight points — and seven frees — in their 0-10 to 0-08 win over Rathnew in a replay at the end of October. Speaking to WicklowNews, Duffy — who scored an outstanding 2-39 in the county championship, and a whopping 2-59 in all competitions for club and county — said: “It’s a great honour to be recognised. “It’s a testament to the work being done by the coaches and management, and the squad as a whole,” he said. Meanwhile, Healy expressed his gratitude to those who have helped him over the course of his time in GAA, while saying that his and Stephen’s winnings reflected the success of the season that they had at club level. “It’s a great end to a great year for our club with Stephen winning club player, and I know himself and I are grateful to both our club mates and county teammates who we are fortunate enough to play alongside. “Special mention goes to a number of key individuals: Davy Shannon initially for keeping me involved in football, Gerry Farrell for giving me the opportunity to play senior football, Harry Murphy for giving me the opportunity to play senior intercounty, Gary Jameson & Des Earls at AEI for the introduction to S&C, Casey O’Brien for honoring me with the captaincy of a great club and finally Gary Duffy, who has had probably the biggest part to play thus far and without doubt the best coach in Wicklow,” the Wicklow and Pat’s captain told WicklowNews. Dean Healy, Stephen Duffy, and all The Garden County Awards winners will be presented with their prizes at the official awards night on the 19th of January 2019.